Around this time last year, Donald Trump was thought to be a bit of a political oddity. Being best known as a reality show star with the Apprentice, and having appeared on WWE’s Wrestlemania, few took his political run seriously. 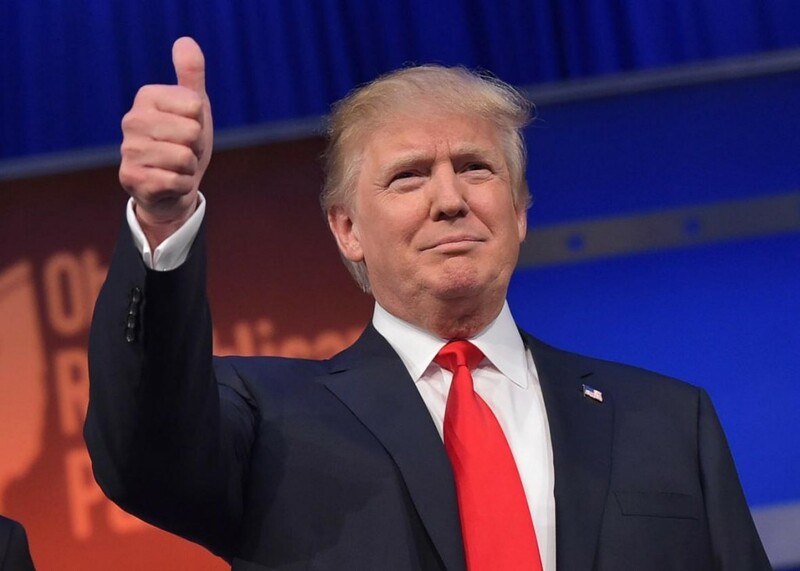 But over the next few months, Trump stunned the political establishment by beating 17 seasoned politicians to emerge as the Republican frontrunner. If he beats Hillary Clinton on November 8th (and polls are close), he will be the next President of the United States. Now unlike most politicians, Trump has no established track record on policy issues. And through his campaign, he’s been woolly on policy stances – his is a campaign that’s based more on persona and his appeal. He discusses broad issues – we know he doesn’t like immigration, wants to lower taxes, and wants to be tough on ISIS. But he hasn’t detailed what he wants to do once he becomes President. Among these areas, what’s still unknown is what Trump feels about India. India’s IT industry sends tons of engineers to the US every year on H1B visas, and lots of US companies outsource IT work to India. A shift in government policy will undoubtedly impact Indian IT. Here’s what we know about what Donald Trump feels about India, and immigration in IT. Donald Trump’s speeches clearly point out countries that he thinks are threats to the United States. In his speeches, he repeatedly points out that China is artificially deflating its currency, and hence winning an edge over the US in trade; he often takes on Mexico for sending over illegal immigrants. Once in a while, he mentions how Japan’s economy is doing well, possibly at the expense of the US’s. But Trump almost never focusses on India. Trump clearly doesn’t see India as a major threat, and doesn’t think it’s not playing fairly. One of the cornerstones of Trump’s Presidential run has been his stance on illegal immigration. He’s openly called illegal immigrants “murderers and rapists”, and has gone as far as to want to build a wall to keep them out. Indian IT immigrants to the US enter the country through legal means, chiefly through the H1-B visa route. And he’s been all praise for India in other interviews. “By the way, India is doing great. Nobody talks about it. I have big jobs going up in India. But India is doing great,” he told the Wall Street Journal. And Trump’s association with India seems to be stronger than that – his signature casino in New Jersey is called the Trump Taj Mahal. And he also has business interests in the country – in 2014, he announced the launch of Trump Tower Mumbai, an 800-foot skyscraper with 75 stories to be erected in city’s upscale neighborhood of Worli by the Lodha Group. NDTV has reported that Indian Americans have split their support between him and Hillary Clinton. This is in line with the rest of the US population, where polls show the two are evenly matched. And one of Trump’s biggest donors is an Indian American named Shalabh Kumar, who’s donated $900,000 (Rs. 6 crore) to help Trump win. While the Indian mainstream media has treated Trump with suspicion over his campaign, there seems to be be no indication that his Presidency will be bad for India, or its IT industry. On the contrary, with his focus on taking back manufacturing jobs from China, and keeping illegal immigrants from Mexico out, his Presidency might herald a softening of India-US ties.